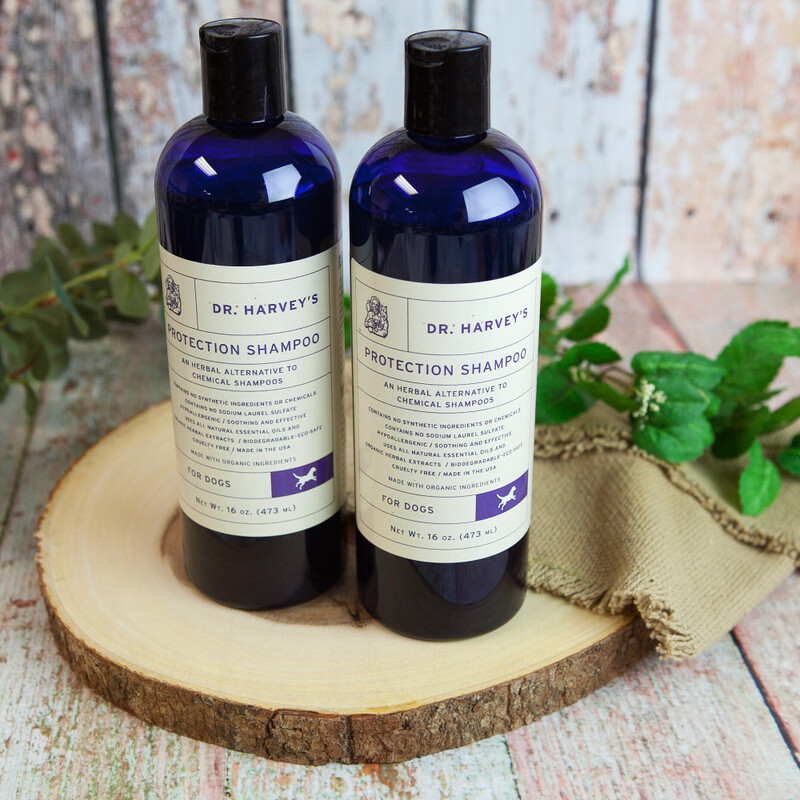 Dr. Harvey’s Herbal Shampoo contains no artificial perfumes or scents, only wonderful smelling herbal extracts that leave your dog smelling clean and fresh. 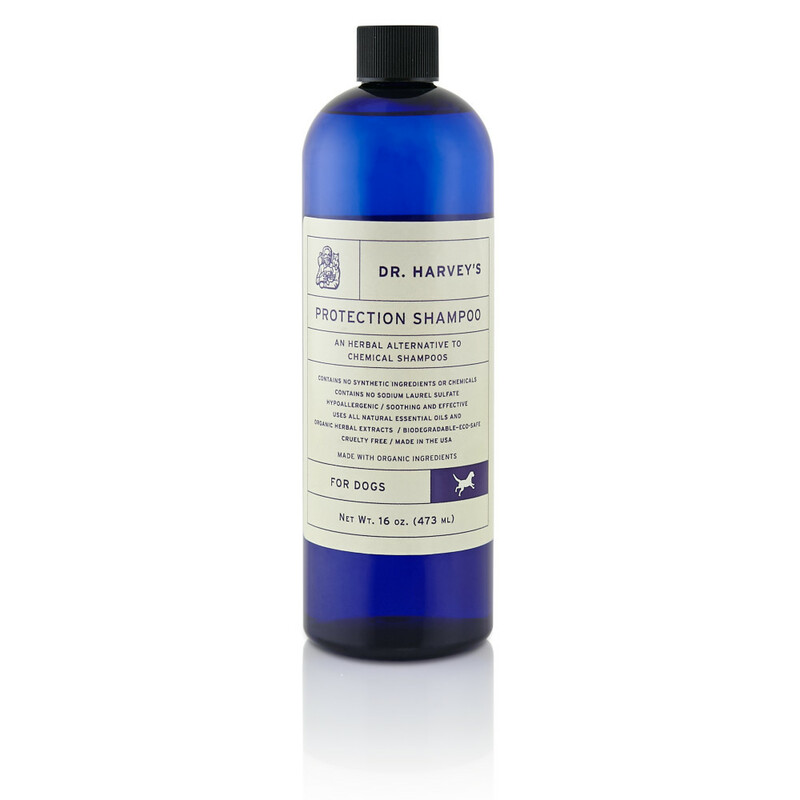 As with all of Dr. Harvey’s products, this shampoo is chemical free and contains no artificial dyes, coloring agents or preservatives, making it safe for all dogs. Animals exposed to SLS can experience eye damage, depression, labored breathing, diarrhea, severe skin irritation, and even death. Young eyes may not develop properly if exposed to SLS. SLS may damage the skin’s immune system and can be transformed into nitrosamines, a potent class of carcinogens. SLS can remain in the body for up to five days and maintain residual levels in the heart, lungs, liver and brain. SLS is found in most skin products that foam. This totally unique, luxurious and superbly gentle, Sodium Laurel Sulfate-free conditioning shampoo is formulated especially for companion animals. It is perfect for all dogs and specific for animals that suffer with sensitive or allergy-prone skin. Used in combination with Dr. Harvey’s Herbal Protection Spray, this shampoo is a safe alternative to harsh chemical products. The great people who write the blog, “MyDogLikes”, conducted their own test with Dr. Harvey’s Protection Shampoo. See the results here. You can read their complete blog post on Herbal Protection Spray, Herbal Protection Shampoo and Herbal Protection Concentrate. Read how Charlie and Harley, their beautiful Golden Retrievers, did with the test!